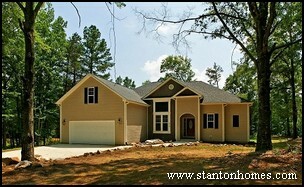 Below is a list of our top 10 one story floor plans for 2013. From craftsman and country/farmhouse to traditional and European, the distinctive styles of these one story and ranch floorplans have captured the attention of home buyers. 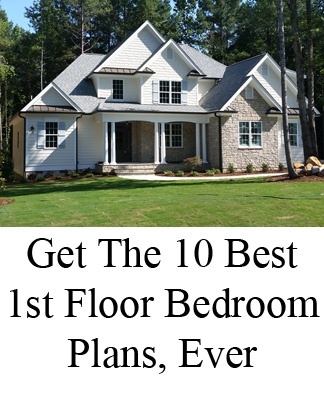 The top 10 one story floorplans for 2013, detailed below, include sought-after features such as open floorplans, island kitchens, home offices, mudrooms, and much more. Don't see what you're looking for? Just ask - there are tens of thousands of possibilities! A trending floor plan aspect present in the Pasadena is removing the master bathroom tub. 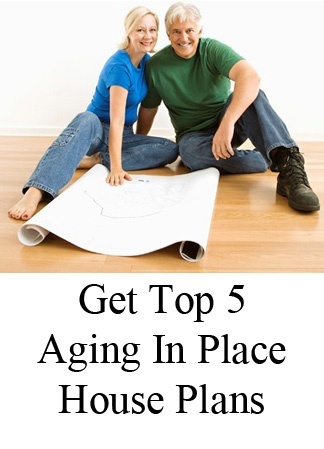 In its place, the closet or shower is generally enlarged. The Pasadena is Copyright Alan Mascord. 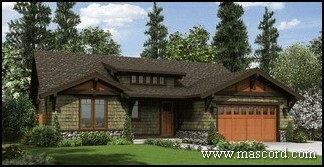 The Renville is a country/farmhouse floor plan - with a rocking chair front porch and courtyard style rear porch. An optional butler's pantry is tucked beside the formal dining room. A large mudroom/laundry room leads in from the garage. 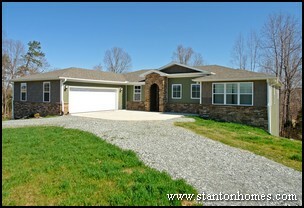 The kitchen and great room are equipped for those who love to entertain. The Renville is Copyright Alan Mascord. 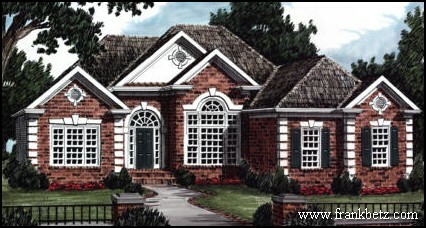 The Cainsville is a spacious one story home, at almost 3,400 sq ft (including an optional second story bonus). European and French country aspects define this home's facade. The Cainsville is Copyright Alan Mascord. 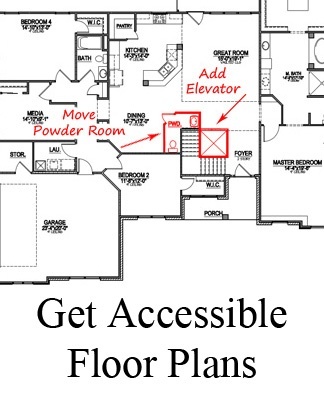 The Dugan floor plan is designed as a fully wheelchair accessible, with an optional second floor mother in law suite. An elevator is optional. One of the most popular design aspects present in the Devonshire is the angled kitchen island with serving bar and pass thru opening to the family room. Another popular feature is the butler's pantry - tucked between the kitchen and formal dining room. The Devonshire is Copyright Frank Betz Associates, Inc. 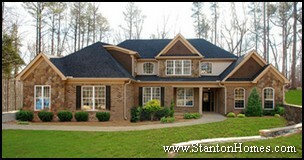 The Sabrina floor plan packs a lot of living into just over 2,000 sq ft. The Sabrina is Copyright Frank Betz Associates, Inc. The Garrett is Copyright Alan Mascord. The Sutherland is Copyright Alan Mascord. The Dorset is an open, inviting floor plan with soaring ceilings and zero wasted square footage. 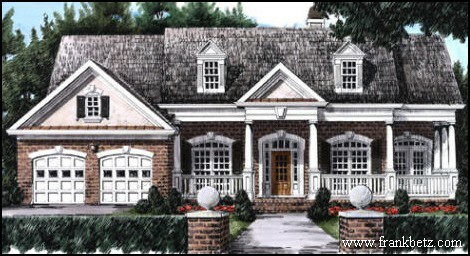 The Dorset is Copyright Frank Betz Associates, Inc. 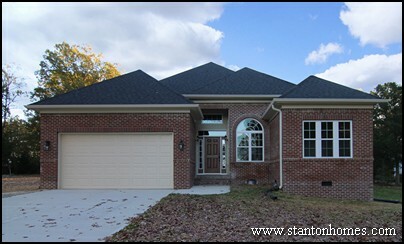 When you build a one story home with Stanton Homes, we can usually add a basement and it’s fairly common to add a room or two upstairs – like a game room for the kids to hang out in. 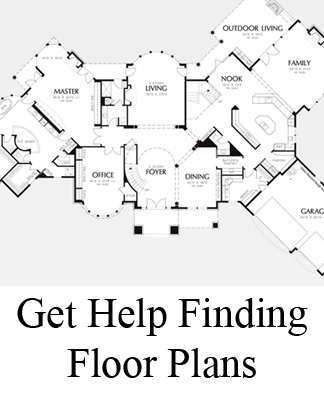 Just let us know what you need, and we’ll show you how we can design and build your single story floor plan together. See photos of the top 10 master bath trends for 2013 - click here. Top 10 kitchen trends for 2013 new homes - click here. 2013 Master Suite Trends - click here.